Dark grey aluminium windows and doors into a modern development in Hythe. 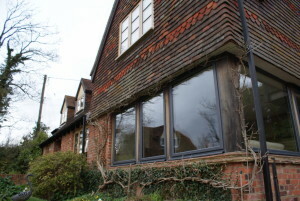 Grey aluminium windows are massively in demand, with Anthracite grey (RAL 7016) windows being particularly sought after. We don’t think it’s hard to see why. Grey aluminium windows have been popular for a long while now, in both modern and traditional builds. Over the last few years, more and more of our residential and commercial customers have come to us with grey aluminium windows in their mind or even specified on their architects drawings. We think it might be due to the fact that grey works well with so many of the staple colours in construction. White and cream render go well with grey. Any timber or oak colours work perfectly alongside grey. Indeed, even black goes well with grey. It certainly works for any modern build, like in the photo above, but it can also work in more traditional properties too, like in the photo below. We are not sure why, but there is one shade of grey in particular that is in demand more than any other. It is RAL 7016 Anthracite Grey. After white, this is the most chosen colour of all the RAL colours available. It is no coincidence that Smart’s standard grey is RAL 7016 Anthracite Grey. To give an example, a valued commercial customer of ours, a local construction company in Hythe, approached us with drawings for many new build plots. 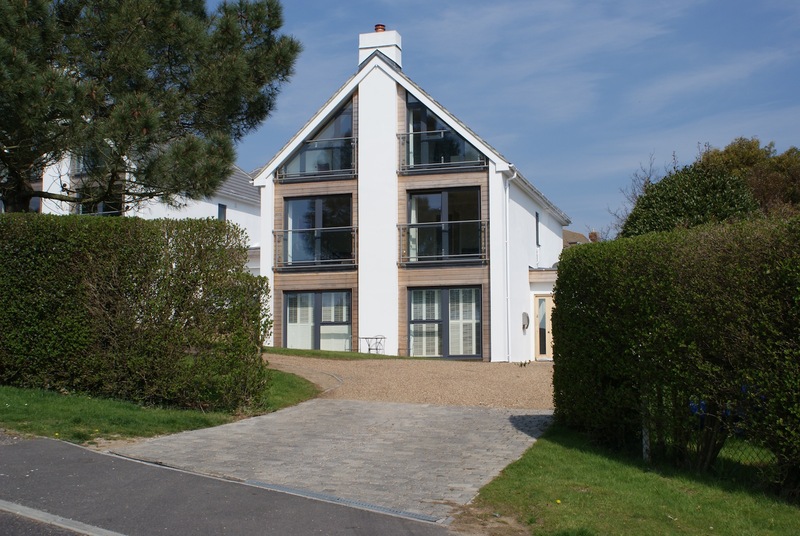 This development of multiple dwellings required modern grey aluminium windows and doors not only for design purposes, but also for the durability of its powder coating, given that the development was very close to the sea. So, as it was decided early on that we would be using our Smart grey aluminium windows and doors, as they come with a marine-grade powder coating and stainless steel hardware as standard, which were up to the bill. And, after a meeting at our showroom with colour swatch samples, it was unsurprisingly set as, you guessed it, Anthracite Grey RAL 7016. The end result across the whole development is something we are really proud of and we will try to get down to site and get more photos uploaded.